As you may be aware, one of the earliest complaints from new DROID owners is that the camera under performed when compared with other smartphone cameras, such as the iPhone's or the BlackBerry Bold's, particularly as it related to sharpness and focus.Apparently, it has been discovered that this problem was related to a strange firmware bug that only manifests itself during a specific time cycle. As you may be aware, one of the earliest complaints from new DROID owners is that the camera under performed when compared with other smartphone cameras, such as the iPhone's or the BlackBerry Bold's, particularly as it related to sharpness and focus. Apparently, it has been discovered that this problem was related to a strange firmware bug that only manifests itself during a specific time cycle. Currently the bug will not manifest itself again until December 11, 2009, at which time Verizon and Motrola is expected to provide an over-the-air software fix. 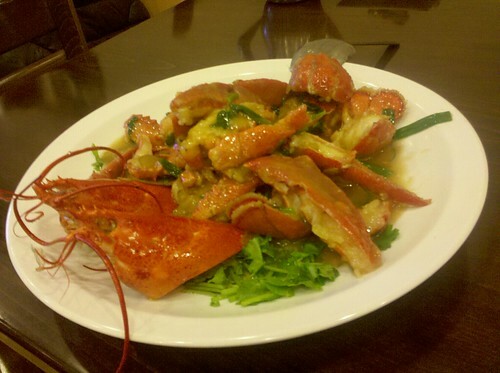 Here's a Lobster Cantonese I tried to take a photo of. Note the issues with focusing sharpness. 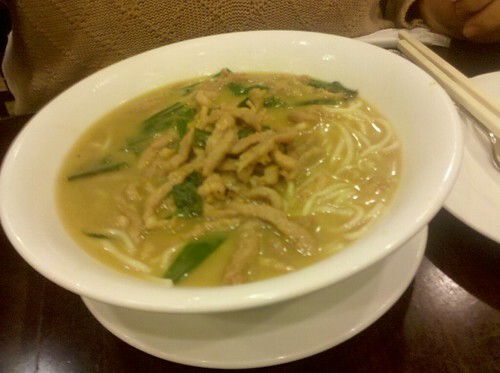 Similarly a Chinese pork noodle soup didn't come up very sharp. When the focus bug was in effect, I was unable to take closeups of objects and get sharp definition. 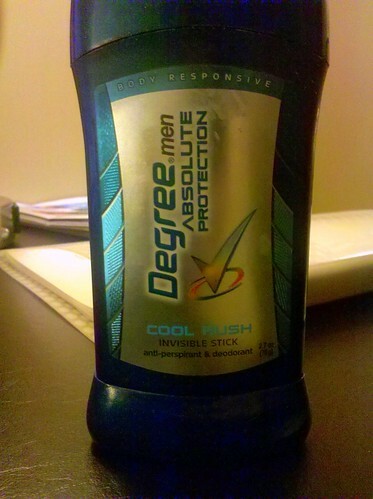 Here's a closeup photo of my bottle of antiperspirant in my hotel room in Baltimore. You can see how sharp the text looks. 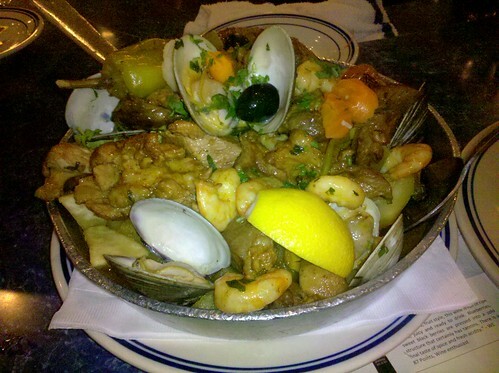 Here's a Clams with Shrimp and Pork a la Alentejana taken at Seabra's Marisqueira Portuguese restaurant in Newark, New Jersey. This is with the DROID flash. Much better results than with the lobster photo only a few days before. 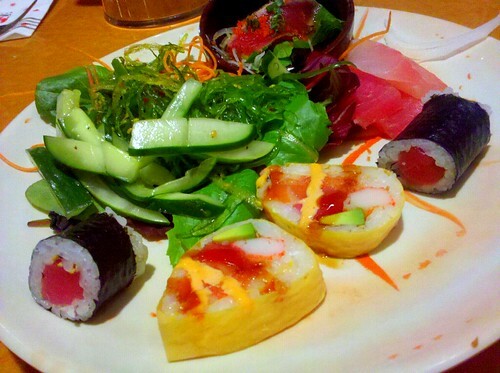 Here's a pretty plate from a sushi buffet restaurant in Wayne, New Jersey. Taken without flash, using incandescent light filter settings. 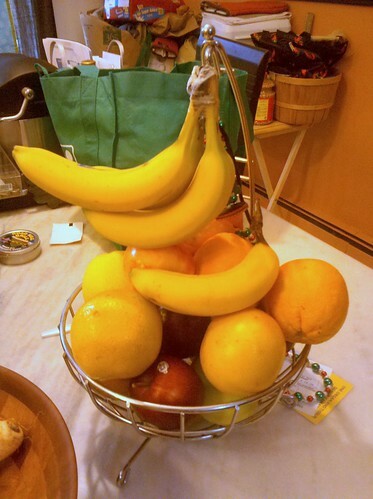 DROID still-life: A fruit basket in my kitchen. 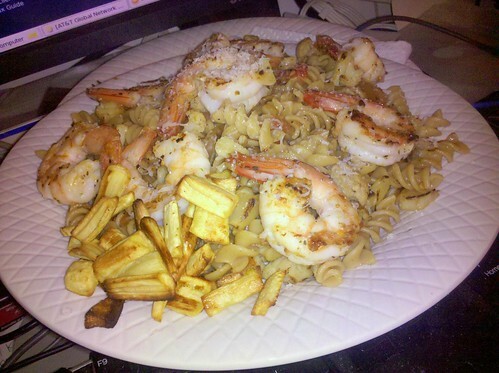 Tonight's dinner -- Shrimp Pasta with Cauliflower and Roasted Parsnips. 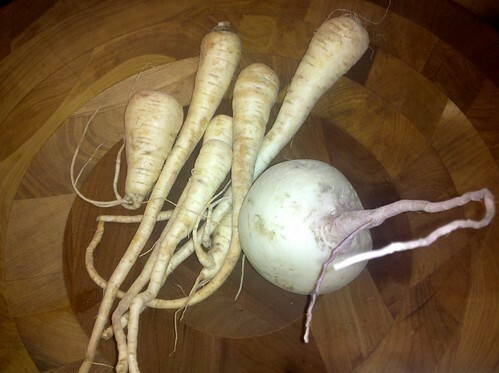 Taken with flash. Here's a video I took of the Acela Express approaching the Baltimore Penn Station Amtrak terminal. Are you feeling better about the DROID's camera now that it has been demonstrated that the focusing issues were a result of a to-be-fixed firmware bug? Talk Back and Let Me Know.